We have built our practice on the idea of lifetime wellness. We’re in the business of preventing illness and prolonging life, not just treating symptoms. And this is true for the entire family, not just mom or dad. We believe that the body has the ability to heal itself from the inside out, so we’re committed to helping your body function at its best so it can adapt quickly to stress. So where does this all start? Great question. A healthy, fully balanced body begins with a healthy spine and nervous system. That’s where our expertise comes into play. Our behind the scenes approach to your health is unlike any other healthcare professional. We’re hands-on and analyze on a different level how your musculoskeletal system could be affecting your nervous system. If you have pain we want to see you get free from that whether it’s a sudden symptom that has popped up or a chronic pain you’ve dealt with for years. 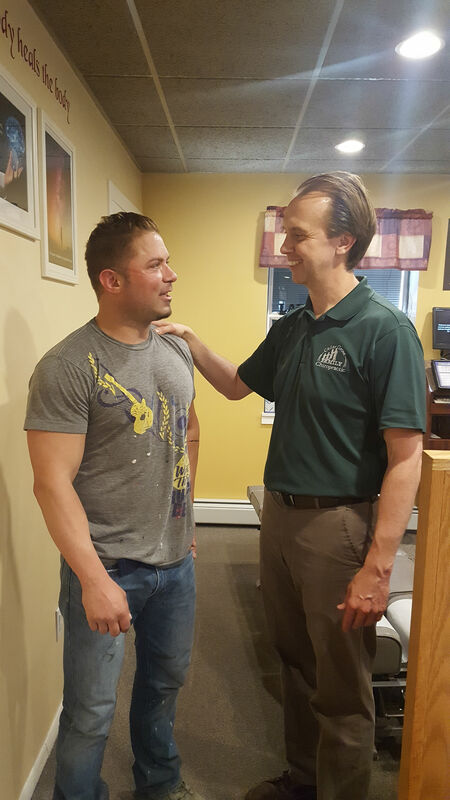 Our corrective care and adjustments work to naturally remove interference, or a subluxation, within the spine so that proper communication to your nervous system is restored. If you’re not in pain but want to live a life of wellness, regular chiropractic care is a proven natural solution that will make a difference in your overall health. And the improvement we’ve seen in people’s lives is why we do what we do. Not only are our adjustments safe and gentle but they’re a natural solution for pain relief that doesn’t come with the side effects of pain medications or a risky surgery. Our natural chiropractic care is for the entire family, so reach out to us today and let’s start moving toward true health together!